Deep pleats, pressure moulding and increased performance. It all sounds good to us. 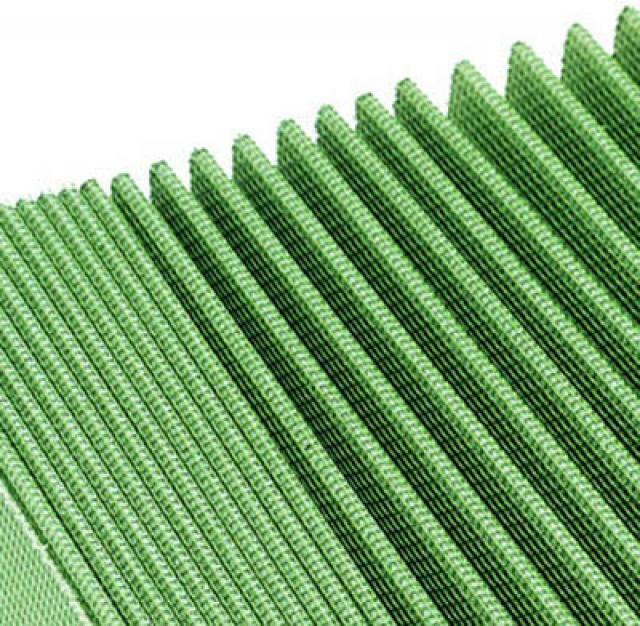 Green High Performance Air Filters are uniquely designed to take full advantage of cottons capabilities. Manufactured to the Highest Standards in Europe with over 900 Motorcycle and ATV Applications. The Green High Performance Air Filter comes with a 100,000km Guarantee and you can expect to never replace the air filter again on your vehicle. Green Filter's are washable, versus disposable. 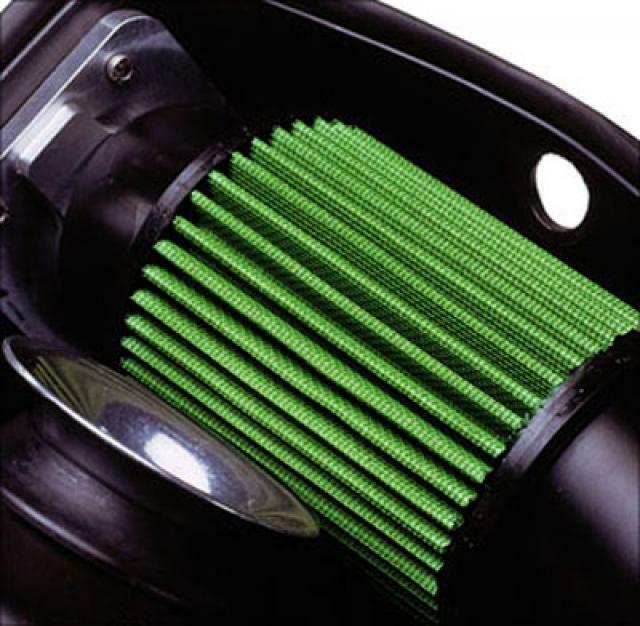 By using a Green High Performance Air Filter you immediately gain extra Horsepower over a stock filter - this is commonly found to be around 6% or more. There is no cheaper way to give your bike increased performance than by simply opening a Green Filter box and drop in the filter. Other filters use a simple pressure moulded injection process to bond the perimeter rubber to the interior components. That method saves manufacturing time, but in the process, a considerable amount of rubber can seep onto the filtering surface. This can restrict airflow as much as 25% and reduce surface area up to 10/15%. 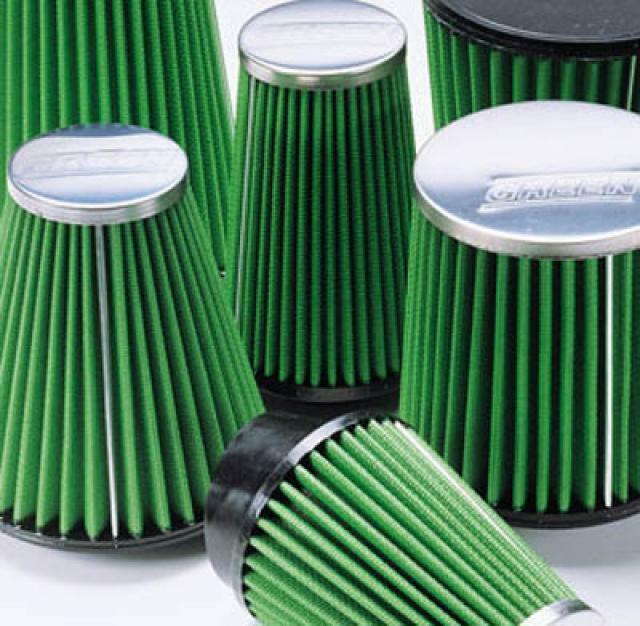 Green High Performance Air Filters use a time-consuming and costlier 4 step production process which virtually eliminates seepage on to the filter surface; maximising air flow and increasing engine performance! • It is thinner which allows improved airflow, but without sacrificing filtration which on a Green Filter is down to .050 microns. • Being woven cotton it holds oil more evenly, whereas a gauze filter will act more like a sponge and oil can be pulled down by engine intake pressure. • Cotton is stronger than a gauze medium and you cannot just wear a hole in it by minor rubbing. Deep Pleats in the double-layered cotton create a 10-20% increase in filtration surface area. This increase allows a greater volume of air to move more freely into the engine. The Green Cotton Air Filter company was formed in 1995 and was born out of the racing and motor sport industry. The experience and expertise they gained from supplying most of the recent successful motor sport teams quickly promoted the company to becoming Europe’s largest cotton air filter manufacturer. The range of filters is expanding all the time and their commitment to providing their customers with the best filtration technology available is always guaranteed.